Nollywood actress Queen Nwokoye and her husband Oluchi Uzoma have welcomed a daughter together in the early hours of today. 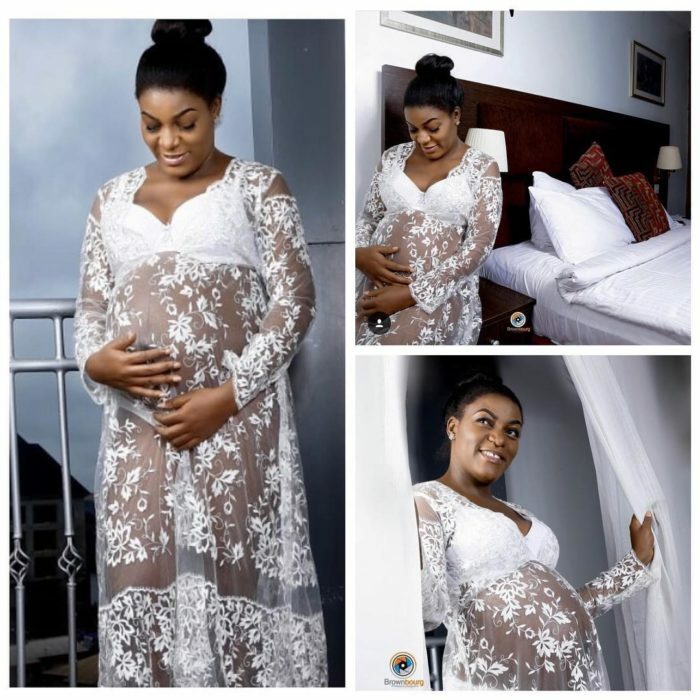 Their friend actress Oma Nnadi who also just had a baby girl was the first to break the good news on her Instagram page. My friend I am super happy.. i.cannot keep calmoooo. Thank you lord. welcome to the world my Besties daughter @queennwokoye and hubby Oliiii. Enough to thank God for this year oooo.